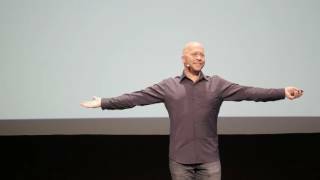 Derek Sivers (born September 22, 1969) is an American entrepreneur best known for being the founder and former president of CD Baby, an online CD store for independent musicians. A professional musician (and circus clown) since 1987, Sivers started CD Baby by accident in 1997 when he was selling his own CD on his website, and friends asked if he could sell theirs, too. CD Baby went on to become the largest seller of independent music on the web, with over $100M in sales for over 150,000 musician clients.In 2008, Sivers sold CD Baby to focus on his new ventures to benefit musicians, including his new company, MuckWork, where teams of assistants help musicians do their uncreative dirty work. His current projects and writings are all at sivers.org.